Is HNA Now Forced to Sell Off Their Silver Plate? 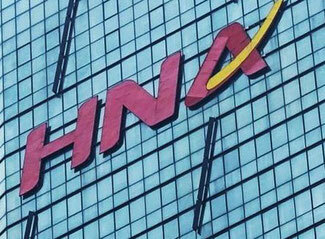 There has been much discussed and written over the past months on the future of the China-based HNA Group of companies. Denials, si-lence and then strong indications out of China that HNA will have to sell off part or even much of its household silver. Are the big plans for the aviation sector down the drain? It would seem this way as latest news or rumours from Far Eastern financial circles indicate a strong turn around by HNA on their not-too-distant denials that they were looking to rid themselves of various aviation related daughter companies. HNA recently put plans on ice to bring individual daughter companies, including Swissport, onto the stock exchange. If this is the case, then cash has to be found elsewhere. It is estimated that the HNA Group has in the meantime amassed debts of up to 50 billion U.S. dollars mainly through their aviation related acquisitions. However, there are no official listings or confirmation of this. Fact is that they need cash support fast as the Chinese government has again increased their pressure on HNA to come up with a viable plan to remain soluble. HNA has a large aviation sector where the acquisitions of Swissport Ground Handling, Gategroup and SR Technics could play an important role in the further expansion and consolidation of HNA aviation sector. This applies also to the tourism sector and it is a blow for them to have had to sell off a very large part of their investment in the Spanish NH Group hotel chain. Will HNA put itself on the back line in the aviation sector when they are forced to sell off the Swissport, Gategroup and SR Technics investment? Probably not in China where they have a strong aviation position. But, expansion overseas, especially in Europe may well be severely hampered and this may well affect the future of Germany’s Hahn-Airport which was acquired by HNA last year and (had) plans to expand. No cash - no moving forward! Many in the airport ground handling industry are wondering where this is all going to leave Swissport if and when they are sold to a yet unknown entity. Worldwide Flight Services - WFS (we reported) were sold during the past days to the Cerberus Capital company and the new owners stated that they have big plans to move forward. We also reported that when WFS were up for sale that it was strongly rumoured that Swissport, in one form or another, was also on the short list of bidders. Whether this was true and in which combination HNA may have entered that race, remains to be seen. Could it be that Cerberus who now have the future hold on WFS, are looking at taking Swissport into the family and consolidating both companies? On the face of it this would make sense. There are so many synergies there which could be played out providing regulatory bodies were to play along. Who else but an equity house would have the financial means to take Swissport which along with WFS also claims to be the world’s largest ground handler. HNA is so far keeping quiet on the issue and the last word has not been said. It’s a small world out there among the large equity houses and who knows what type of intertwining relationships exist there as far as the above issue goes.